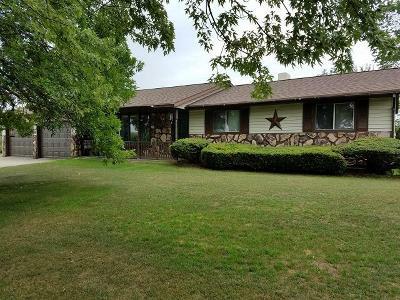 Quality constructed, well-maintained 3 BR, 2 BA Ranch home sits on 1.38 acres of land, with a private, nicely landscaped yard close to several lakes, public hunting land and ATV/hiking trails. Patio overlooks an above-ground pool and tastefully landscaped yard with fruit trees, perennials & a file pit.Full basement, updated furnace and central air, a new roof, 1st floor laundry and an expansive wood burning fireplace complete this home. Centrally located between Marinette and Green Bay. Just off Parkway, minutes from White Potato Lake.